Home GENERAL JOBS MANAGER AND OFFICER PROJECT JOBS New Job Vacancies At Touch Foundation Tanzania. New Job Vacancies At Touch Foundation Tanzania. managing partners and donors, setting milestones and ensuring completion, monitoring activities on the ground and reporting to senior management. He/she will work under the strategic direction of our Chief Program Officer and Executive Vice President, a former McKinsey Senior Engagement Manager, and supervision of Touch’s Program Managers located in Tanzania. As job vacancy announcements cannot be exhaustive, the Project Manager may be required to undertake other duties that are broadly in line with the above key duties. A minimum 2 year work commitment is required from the successful candidate. 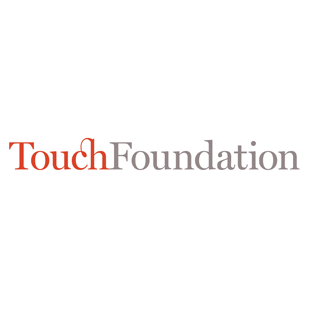 Touch Foundation, Inc., is an equal opportunity employer (M/F/D/V). The Project Manager will lead the on-the-ground implementation activities for the expansion of an Emergency Transportation System (EmTS) to the entire Shinyanga region of Tanzania. The EmTS is an innovative, cost-effective system that uses technology and private community drivers to transport mothers and newborns to health facilities when an emergency occurs, and has been developed and tested by Touch and other partners as part of the Mobilizing Maternal Health (MMH) program in Tanzania. The Project Manager will drive the development, management and implementation of the project, managing partners, setting milestones and ensuring completion, monitoring activities on the ground and reporting to senior management. He/she will work under the strategic direction of our Chief Program Officer and Executive Vice President, a former McKinsey Senior Engagement Manager, and supervision of Touch’s Program Managers located in Tanzania. The Program Analyst will be responsible for supporting the programs of the Touch Foundation, Inc. based in Mwanza, Tanzania. The Program Analyst will also work on various projects in support of Touch’s programs in Tanzania and will contribute to activities that span across program development and design, program implementation, operations, monitoring and reporting. The Analyst will work in close contact with the program team based in Mwanza and with Touch leadership on the ground. In Tanzania, he/she will work under the strategic direction of our Chief Program Officer and Executive Vice President, a former McKinsey Senior Engagement Manager, and supervision of Touch’s Program Managers located in Tanzania. Support various activities related to the development and implementation of the Foundation’s programs, working in collaboration with program team and in-country partners. Conduct research and strategic analyses to support program development and implementation. Support development of work-plans and budgets for various projects. Support the implementation of programs, collaborating with implementation partners and vendors as appropriate. Conduct data analyses to understand, evaluate and report program impact. Maintain holistic and detailed understanding of program work as well as opportunities for expansion. Collaborate with program team to undertake effective monitoring and evaluation of the programs. Support the execution of special projects and events, such as visits to Tanzania by important guests. As job vacancy announcements cannot be exhaustive, the Program Analyst may be required to undertake other duties that are broadly in line with the above key duties. Bachelor’s degree with excellent academic track record. Strong experience developing a variety of communication materials. Ability to proactively work independently and also as an effective, collaborative team member. Solid relationship building skills: ability to interface with external constituents. Superior organizational and planning skills for balancing multiple projects and responsibilities. Good judgement and discretion to represent the Touch Foundation in a highly professional manner. Ability to respond to shifting needs with flexibility while maintaining a positive approach and sense of humor.